Standard laid down procedures are followed for LCL shipping consignments. If you are importing LCL goods from Shenzhen they will most likely be forwarded to Sinotrans Shenzhen Logistics Co. Ltd’s bonded warehouse which is the largest cargo consolidation platform in South China. 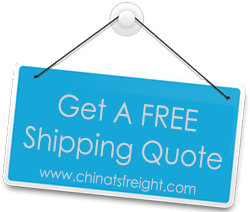 Cargo shipping from China by sea is not only for companies importing bulk cargo, but for individuals that want to import smaller packages as well – packages as small as one cubic meter in volume. Low volume cargo items are shipped together with cargo being imported by other companies.